More than three months on from the deadline of 25 May to be compliant with the European Union’s (EU) General Data Protection Regulation (GDPR), new research has revealed that 28% of organisations do not feel completely compliant. This idea of a number of European businesses not being GDPR-ready was highlighted further in the research conducted at Infosecurity Europe by security firm Imperva, with nearly one-fifth of respondents not confident that they will pass their initial GDPR audit. 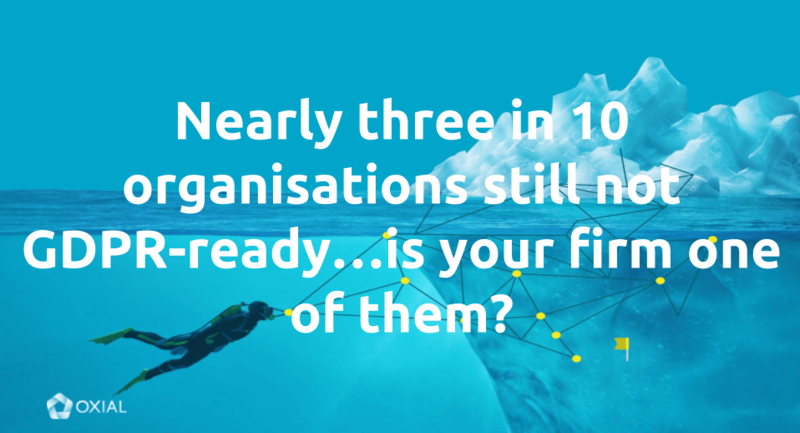 With the consequences for failing to comply with GDPR including large financial penalties, risk of cyber crime, long-term brand implications and much more, it is surprising to see firms still not prepared. With a number of EU member states beginning to enshrine GDPR principles in their individual national data protection legislation, the consequences are only going to get more severe. A key element of GDPR was the ability for any EU citizen to ask for details of the data held on them by any organisation. The recent Imperva research addressed this, asking respondents if they knew where all personal data resided on their systems, assessing the organisation’s ability to respond to requests by data subjects exercising their personal data rights. The findings were most concerning. Only one-third of respondents believed they knew where data was located, while more than half felt they would need an additional three months to be fully ready. Business in 2018 is highly customer-centric and this lack of willingness to prepare and to protect the rights of EU citizens shows a disregard for customer privacy. Never before have consumers had so much choice of provider and never before has it been as easy as it is currently to switch providers, whether that’s Financial Services (FS), utilities, insurance, health or something else. If a firm places value on maintaining its customers’ privacy, then they will almost certainly be well on the way to being GDPR-ready. If they see GDPR just as a compliance box to be ticked, they will not be truly ready and are leaving their customers exposed. It’s a situation that will only become more pronounced as time moves on. A number of EU members state have already begun to introduce their own GDPR-aligned data protection laws and legislation, which will sit alongside GDPR and even extend data protection to areas not covered by GDPR. The UK, France, Spain, Romania and Hungary are the first movers in establishing such laws, according to a recent report by Privacy Laws & Business (PL&B), and it is highly likely that over the coming 12-18 months many other member states will follow suit. This makes it even more important for organisations of all sizes to get their data privacy in order. While midsized firms may not have the resources of bigger firms to manage risk and compliance, the added need to comply with national legislation too means that no organisation can continue to ignore GDPR any longer. The only truly effective way to address GDPR (and any upcoming national laws) is to start with your processes. These are vital to modern compliance, as they impact the use, management of and access to data, so identifying these processes should be the first step in anyone’s GDPR plans. There is little chance of IT being able to effectively do this, which is why GDPR must be at least partially owned by business too. Internal processes must be updated constantly to integrate any additional steps for PI management, and business lines are the ones that use data all the time and understand the processes around it. That’s why the OXIAL GDPR EXPRESS is proving to be such an effective tool for managing GDPR. Using automation of processes to ensure no element of GDPR is missed, it also lets users know how data relates to GDPR. This makes managing the data subject requests that proved so demanding in the Imperva research an automatic process, and furthermore, users can be secure in the knowledge that new data in the business will be protected and managed in the same way as existing data. If you are struggling to manage GDPR then OXIAL has a proven track record in managing such compliance requirements. Get in touch with us here to find out how we could help your organisation.